2012 was a pretty awesome year. But it wasn’t without its challenges. Being a Mama is hard. Being a working Mama is hard. Being a working Mama away from her family is hard. Can I get an Amen. All three of those may not apply to you, but I bet you have your own set of circumstances that makes life a little complicated sometimes. Now, when we all have a little downtime before the start of a brand new, shiny, fresh year, is the time to set yourself up for success. Tell me why you haven’t made that thing happen. That thing you have always wanted. A peaceful home? More time with your family? 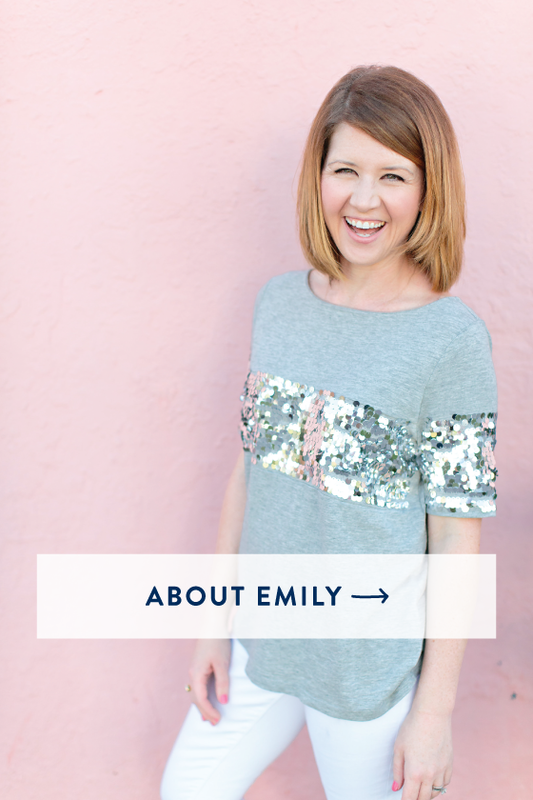 Want to work only three days a week so you can be a full-time Mama the other two? Do it. I did it in 2012. It wasn’t easy. It took work. But I made it happen. No excuses, friends. Let’s do this. Over the next twelve months, I’m going to dedicate Brady’s naptime on Mondays to blogging about my journey to accomplish that ever elusive goal we all have: to keep it all together. To run a happy home, a loving family and all-the-other-stuff-we-all-have-to-keep-up-with. Are you tired yet? Don’t be. 2013 is your year. And it’s mine too. I just claimed it. (If I sound like I just had a ginormous cappuccino and a shot of confidence, I didn’t… though I’d take one of both right now). I’m just tired, like the rest of you, of letting life happen to me. 2012 was awesome, but 2013 is going to be better. 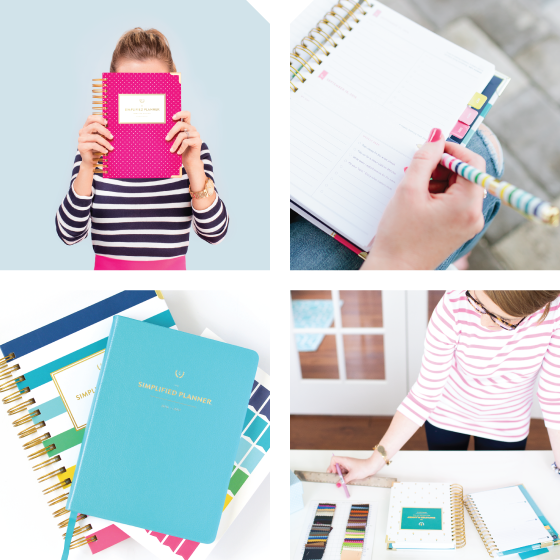 Follow my journey as I welcome you inside my home, inside my Simplified Planner™ and inside my crazy life. Follow me and hashtag #simplifiedlife on Instagram. I’d love for you to document your journeys too as you start to clear the clutter and focus on what matters most. Ready for my goals? 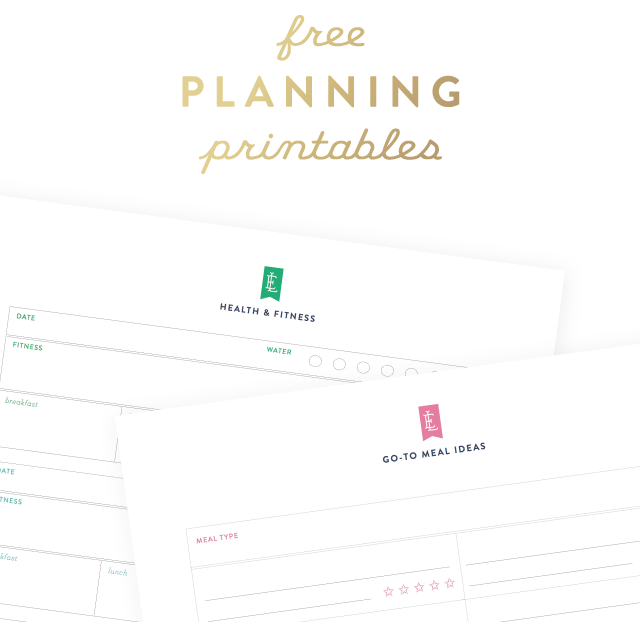 I’m using my Simplified Planner™ Project Sheets to map them out. More God. Simply put, I need more Jesus friends. I don’t go to church and I don’t really read the Bible. But I talk to Him everyday. I think it’s time I got to know Him a little better. Daily devotion time is the first step. Let’s make this actionable: Set my alarm for 6:30am before the boys wake up. Coffee + my new women’s devotional + my pretty journal + quiet time every morning at our big oak kitchen table. Better Business. The shop blew my mind this year. We were busier than ever. But I want to be smarter with our business finances. I also want to add a philanthropic piece to the shop. Not quite sure what that means yet, but giving + smart money sense = better business. Action step: Sit down with Gina H and brainstorm ideas on ways we can decrease costs, increase client experience and add a giving component to our shop. Richer Family. That doesn’t mean what you think it does. I want to infuse more of what matters most into our little family of three (and I suppose I’ll put it out there… hopefully in 2013 family of four. Prayers welcome for our little fertility journey. More on that when I muster up the guts to talk about something that makes my heart hurt a little.) More love. More quality time. More enriching experiences. More patience. More laughs. More sit-down family dinners. More goodness. And there you have it. My honest-to-goodness 2013 goals. 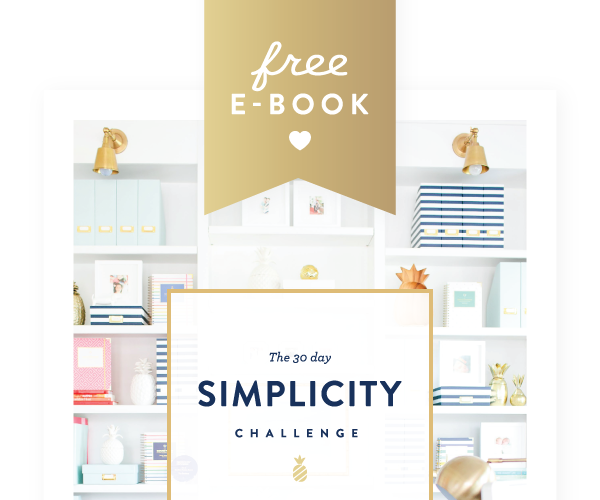 My Simplified Planner™ is coming along while I tackle these to hold me accountable. To force me to put my plans into action and to keep me organized along the way. Making things happen is about taking ACTION. Thank you to one of my best friends and birthday-girl, Lara Casey, for teaching me that years ago. 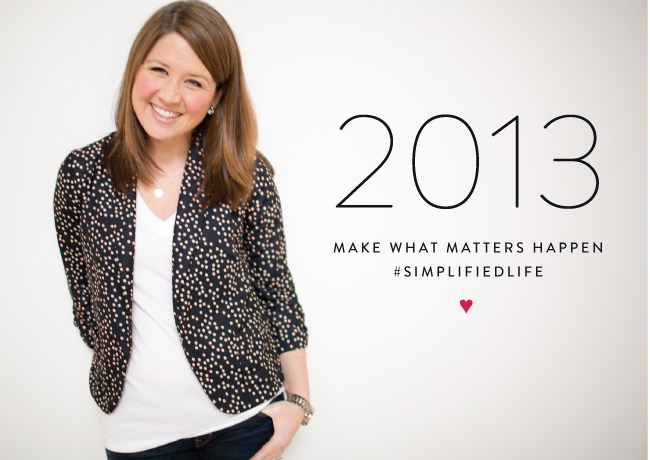 If you haven’t already read the beginning of her goal-setting series for 2013, check it out. Also check out Gina’s Instagram series too. 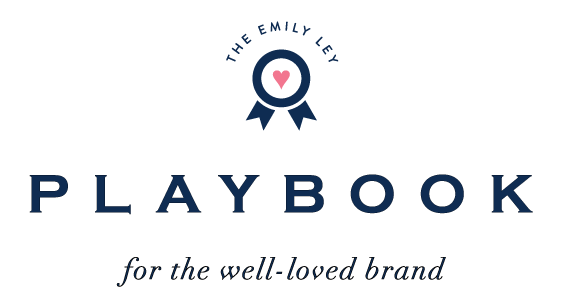 Lara and I are kicking off 2013 with our three part Powerful Branding Webinar Series on January 16. “Set Yourself Up for Success” is a new webinar all about clearing clutter, goal setting, setting boundaries and making what matters MOST happen. We hope you’ll join us! Keeping it all together isn’t about doing it perfectly or always having a clean house, perfectly pressed linens and honor roll children. It’s about teaching your kids what matters, appreciating the messy house because it means a FAMILY lives there and making time to make memories that mean more than money in the bank. 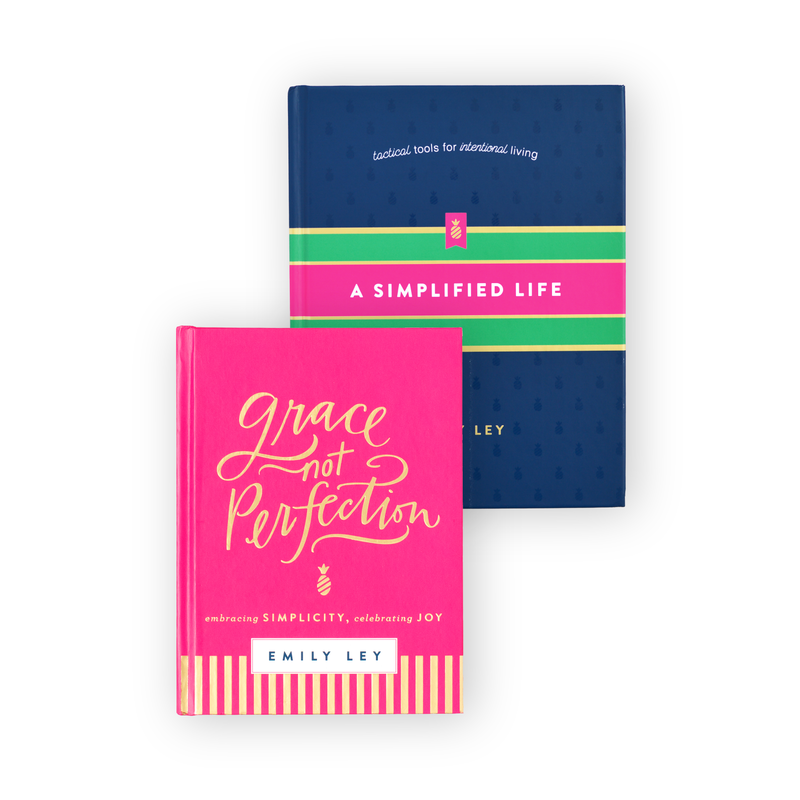 Grace Not Perfection, friends. And just for fun, our turquoise and pink prints with that phrase are $10 for a limited time while we start the clean the shop and make room for new 2013 pieces. Enjoy your last few days of 2012. Dig up the guts and write down those big goals that scare you. That’s what life is all about. Then, no matter how you do it, put the tools you need in place to make. it. happen.